All workers always have a right to a safe and healthy workplace. This means that it’s an employer’s responsibility to provide a safe work environment for all of its employees, including temporary workers. Here’s a look at what regulators at the Occupational Safety and Health Administration (OSHA) and the National Institute of Occupational Safety and Health (NIOSH) have recommended that employers and staffing agencies do in order to protect temporary workers. The host employer’s worksite should be evaluated. 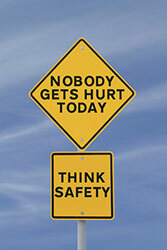 Temporary workers should be trained to recognize safety and health hazards at a job site. Staffing agencies should ensure that host employers at least meet the industry standards for safety. Host employers should provide temporary workers with safety training that is identical (or similar and equivalent) to that provided to the host employers’ permanent workers who perform the same or similar work. Staffing agencies and host employers should both have their own Injury and Illness Prevention Programs, the progress and success of which should be tracked on an ongoing basis. Staffing agencies should maintain regular contact with temporary workers to verify that a host employer is, in fact, standing up to its duty to provide a safe workplace. They have a right to report host employers who fail to provide the necessary training and safety protections. It’s illegal for employers to retaliate against temporary workers (or any employee) for filing a complaint or report with OSHA. Should retaliation occur (because, for instance, a host employer fires a temporary worker for filing a complaint with OSHA), reporting the retaliatory actions to OSHA will be key to holding employers accountable. Have you been injured at work? If so, Denver Workers Compensation Attorney Jennifer Bisset wants you to know that she is here to aggressively advocate your rights and help you obtain the benefits you need and deserve. All of the experienced legal professionals at the Bisset Law Firm are dedicated to providing each of our clients with the highest quality legal representation, keeping each of our clients informed and in the loop at every stage of their cases and, ultimately, helping them obtain the best possible results for their cases.